Moreirense FC are trying to do what was only Benfica at the beginning of October last year to inflict an away defeat on the champions this season. The dragons have already scored seven wins and two draws in their ten appearances. In the table, they are in the first place, with Benfica and Sporting Braga are the two closest pursuers this year and the blue-white to defend the title defense most likely. The hosts can also be satisfied with the season so far. They are currently in sixth place – a much better ranking than last season, when Moreirense struggled to relegate until the final round of the game, which was narrowly avoided in 15th place. Currently, it is above all the defense, which stands well in Moreirense – read on, among other things, on the third best home defense to Braga and the upcoming opponent. Nevertheless, at Moreirense vs Porto, the odds of course clearly in the direction of a score score. A prediction followed by the tip. However, a narrow victory is expected, as the defense of the home side as described is very secure. At Moreirense vs Porto, the prediction is thus a victory of the guests with a goal lead. The scouting department at Moreirense can pat themselves on the shoulders. With commitments such as 21-year-old Senegalese Loum N’Diaye in midfield, loaned by Sporting Braga’s second team, or defender Joao Aurelio, who came from league rivals Vitoria Guimares, the club’s defense was cleverly reinforced. Measures from last summer, which led to the cut on goals conceded could be reduced from 1.47 to 1.26 per game. Especially in the local Parque Joaquim de Almeida Freitas the defense network is usually very safe. Only seven goals in nine home games have been collected so far. A record that surpasses, among others, two of the “Big Three” of Portuguese football in the form of Sporting and Benfica. Also, the four clean sheets in the previous home games make it clear that the team of coach Ivo Vieira at home is difficult to overcome. The club, whose trophy cupboard is still very spacious as it only hosts the Portuguese League Cup of 2017, still has a comparatively weak offensive. Only 21 goals she could land on the previous 20 matchdays. For comparison: The upcoming opponent is already 41 goals. The problems in the offensive could thus be adjusted only conditionally, as already in the past season Moreirense showed together with the then relegated GD Estoril Praia the worst goal scores of all clubs in the top Portuguese league. At least the cut on own hits was increased from former under one hit to just over one goal per match. Most often Heriberto Tavares scores more goals at Moreirense, who scored her own goal at least five times this season. He was also reassured last summer by being loaned out of the second set of Benfica, where he was fourth-best scorer of the Segunda league in the past season. 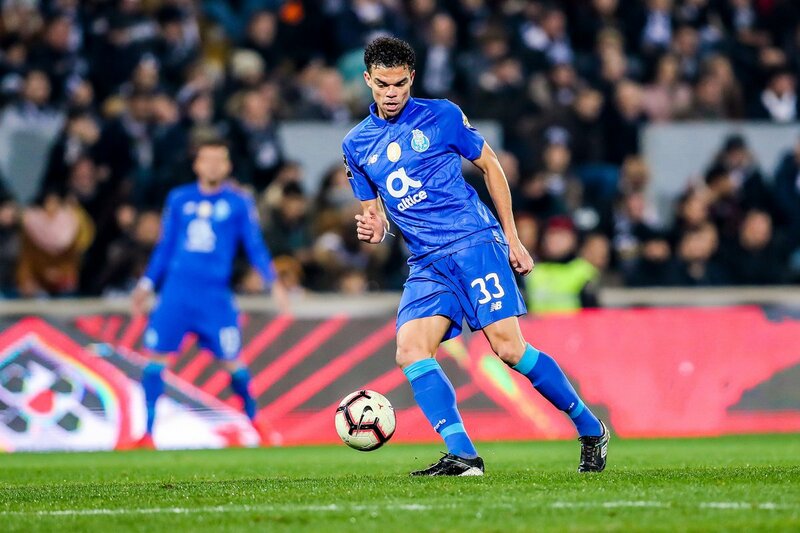 After the already mentioned away defeat in Benfica in October 2018, Porto started an extremely long series of victories. In the end it was no less than 18 achievements in a row, which brought the blue-whites in the Primeira League, in the national cup competitions and in the Champions League. Only Sporting stopped the run and brought about a month ago at least a goalless draw in the league. The 28-time champion – only Benfica has brought with 36 titles even more championships – has therefore not lost 13 matches and landed eleven threes. Only in the League Cup final last week, Porto had beaten in the match against Sporting on penalties. As with the opponent, it is above all the defense that convinces this season. She conceded on the 20 matchdays so far only eleven hits. But Porto offers a strong offensive in contrast to Moreirense. As mentioned, she scores 41 goals and scores around two goals per match. Only Benfica surpasses this yield with 47 goals. The Douro team also has a flare-up offense with Brazil’s Tiquinho Soares, Algerian Yacine Brahimi and Moussa Marega of Mali, who have already scored 23 goals together. This is more than the overall yield of Moreirense this season. On the final day, however, it was once again not enough to win Porto again. In the guest appearance at Vitoria Guimares there was only a goalless draw. Reason was the miserable chance utilization, since the master landed despite 22 shots on goal no hit. Coach Sérgio Conceição, who immediately took the club to the title in his first season last year, will also be without players in the upcoming match. For example, the Uruguayans Maximiliano Pereira in defense and the Cameroon Vincent Aboubakar are missing in the storm. However, the described scorching trio from Soares, Marega and Brahimi is on board. Surprisingly, it is therefore not that Moreirense runs against Porto, according to the odds of bookmakers as an outsider. At the last duel between reigning champions, for the first time since 2013, and Moreirense, the troupe prevailed 4: 3 from the Atlantic. It took place in the context of the Taca de Portugal about seven weeks ago. The game in the first round, Porto won 3-0, which is now no longer five losers since five competitive matches in this pairing and four times triumphed. The home record can give the table sixth but some courage, since only one of the last five home games against Porto was lost. Instead, the home side reached two wins and draws. Nevertheless, speak Moreirense vs Porto the odds a clear language in favor of the title holder. In the summer Moreirense has made a major change that has paid off. Clever transfer decisions have meant that the club is now not back in the relegation battle, but ranked with the sixth place respectable in the table. But with Porto now comes the league leaders who have lost just one of their ten away games and are well on the way to defend his title from the previous year. So the club has not lost in the league for 13 matchdays. At Moreirense vs Porto, the tip is therefore on an away win of the dragons. However, considering the home defense of the club from the north, this should only be close, which is why between Moreirense vs Porto the prediction includes a win with a maximum of one goal difference. The tip is played with four units. The prediction is underpinned by the fact that the Azuis e Brancos have already often managed a narrow lead this season. Read out that they won four of their ten away games with a goal difference.